We’re continuing with our series on running injuries – this month focusing on how to prevent lower back pain. Charlie is in his third and final year of Grand Valley State University’s doctorate of physical therapy program, and is with us until October for hands-on clinical experience. He grew up in Livonia Michigan, playing football and baseball for the Stevenson Spartans. After high school he completed his undergraduate work at Central Michigan University, studying athletic training. After graduation from PT school, he is interested in working with athletic populations of all ages and hopes to travel outside of Michigan. In his free time, he enjoys the outdoors and also plays drums for an indie rock band called Birdie Country. Charlie will be a great fit at Elite PT and will be here through October 5th. Unfortunately lower back pain is a frequent problem for runners especially as distances increase. As you’ve learned from our previous articles on running injuries, having good joint mobility and flexibility are very important for injury prevention. When it comes to your lower back, the more mobile and flexible you are through the joints above and below – specifically ankles, hips, and thoracic spine – the better. 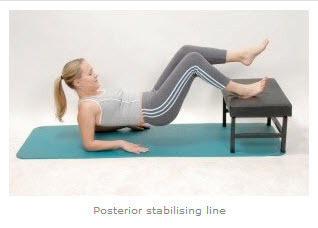 Another important consideration is core stability. I prefer to use the term ‘stability’ over the more common term ‘strength’ because that’s really what we are after. Stability, in this case, is the ability of the muscles of the trunk to maintain a safe position of the joints of the spine while you alternately swing your arms and legs to run. In simpler terms: to keep your lower back relatively still while the rest of you moves. Use a small box or chair approximately 12-18″ high (the higher it gets the easier it tends to get). These exercises were introduced a few years back as a way of developing stability and endurance through the trunk muscles but also to compare how stable a runner was right to left. Everything is done on one leg and compared to the opposite side. Competitive runners should be able to hold each position 40 seconds at a minimum on each leg. Asymmetries right to left (i.e. hold on left leg 40 seconds but only 25 seconds on the right) was thought to put runners at a substantially higher risk of injury. Not being able to hold the full 40 seconds was not as big a deal but still thought to increase risk of injury. So that’s the quick and dirty history of the Bunke Planks in one paragraph. Competitive runners should be able to hold each plank 40 seconds on each leg in each position. This can be very challenging, and very eye opening as some folks think they are quite ‘strong’ through their core until they try these! 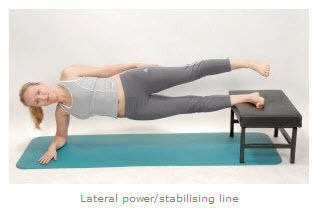 For the rest of us, these planks can be very difficult and in some cases way to advanced. Luckily there are a number of regressions possible that can be used to build up stability and endurance and maybe eventually work up to the full blown Bunke plank. 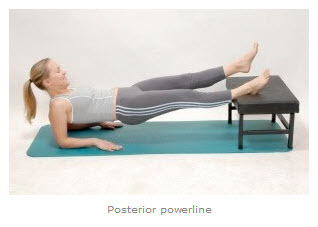 The easiest thing to do in some cases is just to do the plank in the pictures on both legs and work up to 40 seconds before trying to lift a leg. From there alternate lifting legs up to 10 reps each leg. You will only be holding a few seconds each leg before switching to the other. If your on your side you would lift the top or bottom leg 10 time then switch sides. The next step would be to start working in longer holds. Lift the tailbone but not the lower back! This entry was posted in Uncategorized and tagged back pain, Bunke Planks, core stability, core strength, lower back pain, lumbar spine pain, physical therapy running, running injuries on August 29, 2018 by Joe Heiler. Manual Therapy – What Can It Do For You? This is my rant for the month. Twice in the past week we’ve had patients come to us that have failed PT elsewhere and were pretty much ready to give up and ‘just live with it until they were talked into giving us a try by previous clients of ours. In both cases these folks actually saw their PT’s only briefly then were passed off to the tech, were left to do their exercises on their own most of the time (since the therapist was busy with other patients), and received little to no manual (hands-on) therapy. Working closely with a PT, PTA, or Athletic Trainer. No Tech’s! At Elite PT, we guarantee all of the above. If you’re going to spend your hard earned money on physical therapy services then it should be somewhere where the focus is on YOU! I feel better now. Thanks for listening! Manual therapy can be described simply as hands-on therapy. Most patients are familiar with massage but there are many beneficial techniques to decrease pain and improve mobility. There are a number of hands-on techniques we use in addition to using instruments like Graston Technique and Dry Needling. Exercises and stretching are great but often aren’t good enough to stand alone. Manual therapies can quickly decrease pain and get you moving again much faster when combined with exercise. Case in point: One of our clients,struggling elsewhere, came to us with a very stiff and painful ankle post-surgery. He was very limited with his motion which was making it difficult to walk and do stairs. He reported only one session of light massage in his previous 3 weeks of physical therapy and the rest of the time was spent working on stretching and balancing. The knee is stuck 2″ behind the big toe! He came back for his second visit reporting that pain was reduced significantly and he was walking much better. This is just one example of how quickly things can change with a little focused hands on therapy and exercise with a purpose. The bird dog is a very popular PT exercise plus you’ll find it in a lot of Yoga and Pilates classes as well. It can be used to address strength and stability from the neck down through the hips but there are some very specific things that need to be done to make it truly effective. Check out the video below to see how we get the most mileage out of a seemingly simple exercise (and another reason why your therapist needs to be working with you one-on-one). The corrections in this video are specifically for those who are dealing with lower back pain but can also be used to enhance stiffness and strength through the muscles of the core. Have a great Thanksgiving and enjoy the rest of the month. Talk to you in December! This entry was posted in Uncategorized and tagged Ankle mobility, ankle rehab, back pain physical therapy traverse city, core strength, Elite Physical Therapy Traverse City, low back pain traverse city, lower back pain, manual therapy, sports physical therapy traverse city on January 18, 2018 by Joe Heiler. I can’t believe another month has flown by and it’s time for another newsletter. Lydia Case joined Elite Physical Therapy back in July of 2015 and has been an invaluable part of our team ever since. She works full time in the clinic plus during the school year she goes out to Kingsley High School two afternoons per week. She has been the athletic trainer at Kingsley for 11 years now. Lydia has been practicing Athletic Training since 2006 in physical therapy and high school settings. She received her Bachelor’s degree from Northern Michigan University, where she had experience working with the Men’s football and hockey teams. Before transferring to NMU Lydia ran track & field at Aquinas College, but also worked with the Women’s volleyball and Men’s basketball teams at Aquinas. Lydia is a certified Kinesio Taping Practioner(CKTP). She believes that every patient and athlete is unique and that their treatment and workouts should be tailored specifically for their individual needs in order to achieve their best outcome. 1) What got you interested in athletic training? My love for sports is what initially got me interested in athletic training- I thought what a great fit- you work with athletes out in the field and can also work with the general public in a PT clinic- NO day is ever the SAME. 2) What do you like best about being an athletic trainer? I get excited about helping people and seeing how each patient/athlete is unique. I have worked with people from ages 3 to 98 and everything in between and have so much fun because everyone is so different as well as their injury. I find it so rewarding to help someone accomplish their goals. 3) What do you do for fun other than just work at Elite? I enjoy spending time with my family – we love to be outside especially tubing down the Boardman River, taking our dog Gus for a walk in the woods, and riding 4-wheelers. I also like to play games, mostly card games like euchre. I also enjoy running with my friends and have completed 5 half-marathons, but prefer to run the 10k distance. I have been married to my husband Dave for 11 years and have two kids, Delaney (8) and Owen (5). “When I first came to Elite PT I was devastated because I had a running injury that literally prevented me from doing anything. I was going from exercising 6 days a week, running 3-4 days per week, to barely being able to walk! I felt like Lydia and Kristy were as excited as I was to get started with strengthening exercises. I experienced such relief from my treatment, and the exercise plans they put in place for me helped support rebuilding my strength. Back Pain and Sciatica Workshop moved to November 4th! We will be hosting our first workshop on back pain and sciatica on Saturday November 4th from 10 – 11am. If you know someone who has been suffering from back pain and/or sciatica then be sure to let them know about this workshop! Lower back pain is a huge problem in this country, but unfortunately most people feel like there is no ‘cure’ and they just have to live with it. Check out this short video for more information on the workshop and to listen to how this is one of the biggest ‘myths’ in the health care industry. The workshop is technically for those who have not been clients of ours in the past. Past clients receiving this newsletter are welcome to call us with questions ANYTIME! We are more than happy to answer any questions you may have and set up a time to get you in for a free screen if that is what is necessary. Many schools in our area don’t have access to athletic training services or team doctors at their games, so many young athletes with injuries don’t get the medical care they need. We currently provide the athletic training services at Kingsley High School which has been extremely beneficial for our athletes. The goal is to treat them early to keep them playing and also to keep them from more serious problems and costly treatment down the road. Unfortunately, we can’t be everywhere, so on Tuesday afternoons we’ll be offering free screenings to athletes with nagging injuries affecting their performance or keeping them from playing altogether. We can diagnose the injury and get the athlete started down the road to recovery. Athletes with more serious injuries should see their family physician! Appointments will be available between 3 – 5pm. Parents should call to make the appointment as we will need your contact information and at least verbal permission to examine your child. We prefer that a parent be able to make the appointment especially if the athlete is under 18 years of age. Give us a call at 231 421-5805 to schedule a time. This entry was posted in Uncategorized and tagged low back pain traverse city, lower back pain, physical therapy traverse city, sports physical therapy traverse city on October 17, 2017 by Joe Heiler. Hope you’ve been enjoying your summer! We’ve got some great content covering lower back pain (plus a special offer) for you this month. 6 years in business! Check out our special offer – its got something to do with back pain! The title of this article is a direct quote from a frustrated client of ours at his initial evaluation. He couldn’t stand or walk more than 10 minutes and it was really starting to effect his quality of life and ability to work around the house and yard. We hear this stories like this one frequently and I’m sure there are a number of you reading this that are having this same experience. Our client participated in physical therapy for 8 visits over a 6 week time frame. Treatment consisted of manual (hands on) treatment to decrease pain and relieve tone in the muscles of the lower back and hips as well as exercises to decrease his pain and improve the way he was moving and walking. He is doing quite well now as he was able to walk around downtown Chicago a few weeks ago with only mild irritation in his leg (“not enough to stop me from having fun”). He was also able to work outside for 4 hours the day prior to his last PT session without any pain. We’ve successfully treated numerous patients with similar symptoms over the years. In fact we see more folks with lower back pain than any other diagnosis here at Elite PT. Back pain can be severely debilitating but many times we can quickly decrease the pain and get you moving again with physical therapy. Because of that, and as a way of saying “thanks” to you, our valued clients, I want to offer a free screen on August 24th to the first five former clients suffering from lower back pain. If you fit the description above, call us now to get scheduled. It’s only 30 minutes of your time but we’re confident we can get you started on the road to recovery. The 24th of this month is also our 6th anniversary of being in business so I thought we’d do something fun. Call 231 421-5805. I guarantee this will fill up quickly so be sure to take advantage today! PS – We’ve also been in business 6 years because of loyal clients like yourself referring family members and friends. If you can think of someone this information might help, please share it with them! I’d be happy to answer any questions they might have. My email is joe@elitepttc.com or just call 231 421-5805. 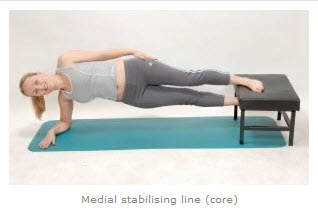 Planks are an extremely popular exercise but it is very often performed incorrectly. Hint: your lower back shouldn’t arch that much! I frequently ask patients and training clients where they feel like they are working the most… abs or the lower back? More than half the time they respond that they feel it more in their lower back! I thought the plank was supposed to be an abdominal exercise? Well it is when done correctly. Watch the video below for a quick tutorial how to learn the proper positioning for the plank exercise and then how to immediately integrate that into the exercise itself for killer results. We’re bringing a new PT on staff at the end of this month and we’re super excited to have her joining our team. I’ll have more on Ms. Allie Hoyt in the next issue. September 30th will be our first ever Lower Back Pain Workshop. I’ll have more on this next month too but start thinking of loved ones suffering with lower back pain that may benefit from this. This entry was posted in Uncategorized and tagged back pain physical therapy traverse city, core strength, lower back pain, plank, sports physical therapy traverse city on August 7, 2017 by Joe Heiler.